Have you ever thought about the possibility to turn your gaming motherboard into a crypto mining base? Gaming and mining make you get achievements both in the virtual life and in the real world. 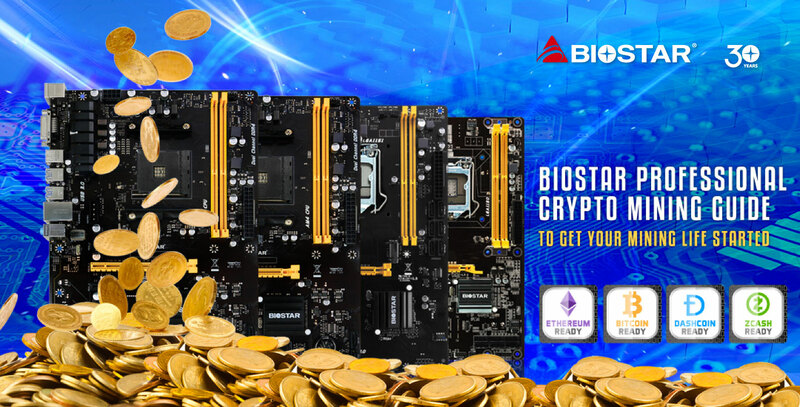 The BIOSTAR Crypto Mining Card is designed for graphics card expansion to fully convert your gaming PC to a professional cryptocurrency mining rig that can handle much more graphics cards than those it could be equipped with. 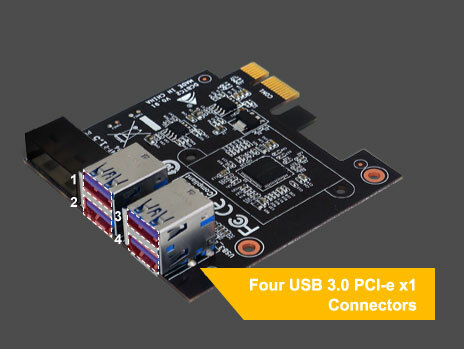 The Crypto Mining Card with PCI-e x1 to 4 USB3.0 connectors is exclusively compatible with select BIOSTAR gaming motherboards, including the specific motherboards as following: RACING H170GT3, GAMING H170T, Hi-Fi H170S3H, Hi-Fi B150S1, Hi-Fi B150S1 D4, and TB150 PRO. To increase the mining profitability, this Crypto Mining Card can let mining enthusiasts set up their mining machine up to 8 slots for TB150 PRO to utilize more GPUs for more mining power. Moreover, it can return your investment on your system by giving you the flexibility to create a mining rig to generate income from mining popular cryptocurrency like Bitcoin, Ethereum or Zcash.